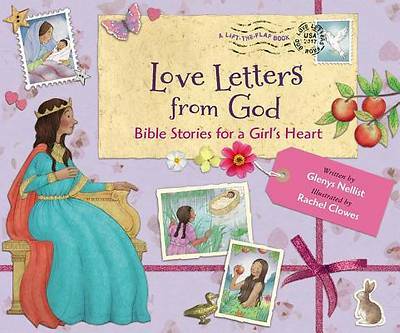 In this heart-warming picture book designed for girls, author Glenys Nellist tells the inspiring stories of incredible women in the Bible. With beautiful illustrations by Rachel Clowes and sweet lift-the-flap envelopes, each story delivers a special message for children to open as they read their own personal love letters from God. Full of warmth and love, this picture book will fill girls hearts with the wonder of the Lord. The stories of Eve, Miriam, Esther, Mary, and many more will delight children and remind them of the bond they can share with God, just like the women of the Bible.